You can now buy a bikini for the same price as a cappuccino and in Tokyo, men can get suits from a vending machine. Has our obsession with fast fashion taken us into dangerous territory? This was my canary-­in-­the-­coalmine moment. It was the summer of 2013 and I was dressing for a party. For the life of me I could not find a particular gold lamé blouse with a ruffled collar I’d worn precisely twice before. I wore a different metallic blouse, but I was sad about the ruffles. The next day I was walking past my local laundry when the owner darted into the street and caught me by the coat tails. Sixty bucks later, I stumbled out carrying what felt like a body bag, complete with cadaver. Through the sweating plastic I spied the ruffled blouse. It was snagged on one elbow. I had a memory flash of an elderly neighbour darning socks, then couldn’t work out if she really had lived next door or if I’d just seen her on the telly. I mean, who darns? I’ve chucked stuff out on the mere rumour of a hole; bet you have too. And apparently I value my clothes so little I can forget about huge piles of them languishing in the laundromat. In the 21st century, the fashion industry is out of control – and so, apparently, are we. We are buying clothes like never before, so many that the average Australian woman wears just a third of what’s in her wardrobe. And men are fast catching up – global menswear sales increased by 70 per cent from 1998 to 2014. The industry produces way too much: things we don’t need and wouldn’t want if we weren’t so brainwashed by social media, and advertising and celebrities who never wear the same thing twice. Indeed, so used are we to that last concept that back in 2012, when the Duchess of Cambridge wore a pale pink frock to two events, she made headlines: “Kate Wears Same Dress Twice in 11 days!” Said dress was by the London-­based New Zealander Emilia Wickstead and retailed at more than £2000, so Kate would have to wear it many more times to get a reasonable cost per wear – but that was beside the point. Our current definition of glamour is based on rapid trend turnover. You’re nobody unless your outfit is brand-spanking new. Clothes are increasingly designed with disposability in mind, as fast fashion, built on cheap labour in Asia and Africa, booms. Each year, Australians send $500 million worth of clothing to the tip. Oxfam says 9513 garments are thrown into British landfill every five minutes. Americans dump an estimated 10 million tonnes every year. According to The Wall Street Journal, American shoppers bought an average of 63-­and-­a-bit garments per person in 2013, but spent only $US907 in total. Take the socks and jocks out of that equation and you’re still left with a shockingly cheap average garment price of less than $US15. Meanwhile, 40 per cent of our in-­store purchases are unplanned. That’s where our credit cards come in handy. In 2015 the collective Australian credit card debt was $51 billion. Analysts predict the current generation of teenagers won’t even try to pay it off. We are shopping addicts, buying a lot of rubbish on impulse to wear once, spending beyond our means for no good reason. According to eco-fashion activist Livia Firth (née Giuggioli, now married to actor Colin Firth), who is trying to get us to slow down and shop for fashion more sustainably by way of her Green Carpet Challenge (catapulting “sustainable style into the spotlight”), 80 billion garments are produced globally each year. Only we don’t often remember that, when buying a seven-­pack of knickers with the days of the week embroidered on them. Or a silly yellow jumper that’s too small but never mind because it’s cashmere, AND A CRAZY BARGAIN WE ARE POWERLESS TO RESIST. While the much-admired British fashion critic Suzy Menkes has said she thinks “we need to realise that it’s morally wrong to buy a bikini for the same price as a cappuccino”, that doesn’t seem to be happening. The problem is, there is no escaping it. Commercial fashion is ubiquitous. In Tokyo, vending machines spew out tailored suits for businessmen who’ve been out all night. At airports, you can buy luxury leather goods that cost more than your plane ticket. Retail stores are presented as cultural institutions, and designers and models are the new rock stars. Oh, and rock stars, by the way, are the new fashion designers – Beyoncé has a new active-wear line, Rihanna has just launched a line of “statement socks”, whatever that means. It’s only logical, in this context, that red carpet coverage should take over awards shows: “Who are you wearing?” is now more important than what you were nominated for. Since The Devil Wears Prada, the fashion film has become mainstream and museums are mounting fashion exhibitions like never before. This month, the fashion documentary The First Monday in May, starring Anna Wintour and the Metropolitan Museum of Art’s ball, opened in the United States to huge buzz. Everyone wants to dress like a Vogue cover girl. At the other end of the spectrum, you can buy fashion as part of your weekly food shop, with as little thought as you might give to buying bread. In 1990, the British chain Asda – now owned by Walmart – became the first grocery store to introduce a fast-­fashion line, with the George at Asda range (from designer-for-hire George Davies, who was also behind the high-street chain Next and the Per Una line, which he sold to Marks & Spencer for £125 million ). According to a 2014 report in the Financial Times, “apparel is growing rapidly in UK food retail”. The shop floor space allocated to non-­food items may be smaller, but the profit margins on them are way bigger. In Australia, Collette Dinnigan, once known for her luxurious lace ladies’ wear, did a kids’ collection for the discount supermarket chain Aldi. Over at Coles, prices for Mix brand womenswear start at $8. I’m hard pushed to think of anything more depressing – because someone always pays the price for too cheap. So how did we get here? Conspicuous consumption is as old as the hills, but for most of human history it has been the preserve of the select few; fashion and luxury goods were a tool used by the ruling classes to show the hoi polloi they meant business. But that all changed in the 1980s, when family-­owned luxury businesses began selling out to big corporations, and rapid expansion ensued. My dictionary defines luxury as “something considered an indulgence rather than a necessity”, but that might apply to a bubble bath as well as a couture gown. Today we use the word to categorise fashion in terms of how expensive it is, or appears to be: a coat from a top brand might be luxuriously priced, but that brand also sells trinkets that aren’t worth much at all, in real terms – although they make a tidy profit. If we can’t always identify a luxury brand by its products, we can recognise its image. The luxury market is now dominated by three giant multi-­brand corporations: Louis Vuitton Moët Hennessy, Kering (formerly PPR), and Compagnie Financière Richemont SA. The big luxury fashion brands – Louis Vuitton, Givenchy, Bulgari, Gucci, Saint Laurent, Chloe, Cartier et al – now have flagship stores in most major cities. Their corporate bosses, writes Thomas, have “turned their sights on a new target audience: the middle market, that broad socio-economic demographic that includes everyone from teachers and sales executives to high-­tech entrepreneurs, McMansion suburbanites, the ghetto fabulous, even the criminally wealthy. The idea, luxury executives explained, was to ‘democratise’ luxury, to make luxury ‘accessible’ … But it wasn’t. It was as capitalist as could be: the goal, plain and simple, was to make as much money as heavenly possible”. So the poor got poorer and the rich got richer? According to McKinsey, “shopping behaviours are changing almost as fast as technology”. Online’s convenience, speed and range are hard to beat. eMarketer figures suggest global online retail sales will eclipse $US3.5 trillion by 2019, with the Asia Pacific market growing by 25 per cent in 2015. Australian growth lags behind that, but the National Australia Bank’s Online Retail Sales Index shows we still spent more than $17.6 billion online in 2015, up nearly 6 per cent year on year. Shoppers are increasingly researching online before making targeted trips to physical stores to pick up pre-­selected products at the cheapest price possible. Or they try on clothes and shoes in traditional stores so they know what size to look for – at a bargain price – online. We may be looking at a future where all transactions happen online, where malls and stores don’t carry stock at all – but act instead as showrooms, selling “experiences” to generate brand loyalty. Stephens predicts: “Great retailers are going to emerge with a different model.” One possibility is that stores will start acting as agents for brands in return for a fixed fee. “They will say, ‘OK, so I will carry your product and represent it better than anyone else in the market place can, and whether you sell direct to the customer, or I do, or a competitor does, I don’t really care, because you are going to pay me the same amount every year anyway.’ In order for that to work, the retailer is going to have to be responsible for measuring customer experience” – not, he concedes, “something that happens today in a real way”. My own particular interest, now that I’ve seen the too-many-clothes-light, is in ethical fashion. So where does sustainability fit into this brave new retail future Stephens describes? He says it must join the queue along with all the other factors that may, or may not, influence the shopper considering what to buy. In Stephens’ view, it’s not the big retailers or brands that hold the power. It’s us. In 2011, to coincide with Cyber Monday, an online shopping drive by America’s National Retail Federation, the American outdoor gear brand Patagonia booked a full-­page ad in The New York Times, urging potential customers: “Don’t Buy This Jacket”. The campaign detailed the “astonishing” environmental cost “of everything we make”, and asked consumers to consider the pictured fleece jacket, “one of our bestsellers”. It took 135 litres of water to make it, “enough to meet the daily needs (three glasses a day) of 45 people. Its journey from its origin as 60 per cent recycled polyester to our Reno warehouse generated nearly 20 pounds [9 kilograms] of carbon dioxide, 24 times the weight of the finished product”. Patagonia, one of the first clothing companies to commit to sustainability and supply-chain transparency, was asking readers to pledge for what they call the Common Threads Initiative, committing to “reduce, repair, reuse, recycle, reimagine”. Over 60,000 signatories promised to “use what I have, sell what I don’t need, and buy used when I can” to “keep my stuff out of landfills”. They’re encouraged to trade their used Patagonia items on eBay under the Common Threads umbrella. Meanwhile, Patagonia’s Reno repair facility is the biggest in North America, and their “Worn Wear” trucks drive around college campuses with sewing teams on board. They’ll try to fix whatever clothing you bring – it doesn’t have to bear a Patagonia label. Firth wore a From Somewhere dress to the 2010 Oscars, but last year, after 18 years in business, de Castro closed her doors. Now she’s focused on the ethical fashion advocacy organisation Fashion Revolution, which she co-­founded, and on mentoring students at London’s famous Saint Martins fashion school. Like Chouinard, de Castro is convinced the next generation will be the one to solve fashion’s sustainability crisis. “But I think now is the worst possible moment because the consumer is terrified that this bonanza of cheap is going to end,” she says. In his book Clothing Poverty, Dr Andrew Brooks describes how less than 30 per cent of clothes donated to charities in the UK, US and Canada gets sold in local charity stores now – the rest heads to eastern Europe and Africa by the bale, to be sold for a profit. Meanwhile, the quality of those donations is in free fall. Much of it’s such trash, charity stores must fork out to send it to landfill. They rarely see the top stuff anymore. Grandma’s designer handbags, the art deco tea dresses, wartime coats, ’50s suits and ’60s minis command silly money, and get whisked off to destination stores in the fashion capitals. The famous New York vintage store What Goes Around Comes Around has opened an outpost in Kuwait that sells second-­hand Chanel bags for $US5000. Decades in LA outfits Hollywood starlets in pre-­loved red carpet gowns that cost as much as new ones. Even high street gear from 20 years ago costs a pretty penny from boutique resellers. Surplus garments suffer a similar fate. Pretty much no one recycles them, she says. 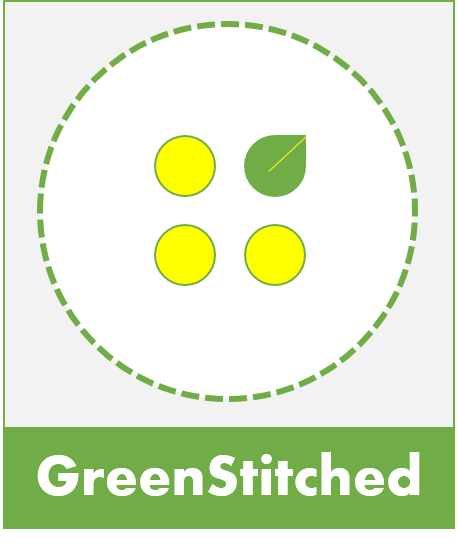 The technology for recycling blended fabrics is in its infancy, “and even 100 per cent cotton shirts are sewn with polyester thread. Is a worker going to remove the threads and labels from 40,000 T-­shirts? It’s not economically viable”. She has promised to inscribe those little words above her new Rue Saint Honoré shop in Paris. But while writing such a slogan above the door of your flash new Paris shop is a bold move, it doesn’t change the fact that it’s still a flash new Paris shop. Last time I looked, shops were in the business of selling. It’s that thorny issue raised by the New Yorker with reference to Patagonia: how can a clothing brand convincingly deliver the anti-­consumerist message? Is it not absurd for them to even try? Westwood has been accused of being “snotty, elitist and right wing”, of “lecturing people from Millionaires’ Row [while] selling her clothes for big bucks”. (Her advice that those who can’t afford to eat organic food should just “eat less” did not go down well either.) Chouinard has more chance of making the “buy less” message stick because his anti-­fashion claims stack up. It is even harder to take an eco stand as a runway darling. The fashion fans aren’t listening, while the Greenpeace fans think you’re a depraved capitalist pig for daring to make frivolous clothes in the first place. The only way to avoid charges of hypocrisy is to stop selling fashion altogether. And that is happening. In 2014, Jean Paul Gaultier retired from ready-­to-­wear (he still designs his couture line) to escape its frenzied limitations: “I love fashion but not the route it is taking,” he told WWD. “Commercial constraints as well as the frenetic pace of collections don’t leave any freedom, nor the necessary time to find fresh ideas.” Dutch duo Viktor and Rolf cited similar reasons for bowing out of ready-to-­wear shortly after. In April, when iconic Australian brand Easton Pearson announced it was closing after 27 years in business, they too spoke of an industry that was set, careening, out of control, towards an inevitable crash. You can’t increase speed forever; at some point you will combust. De Castro shuttered From Somewhere because she “wanted to not compromise … I’m forever trying to make my clothes cheaper to compete with things that I shouldn’t be trying to compete with”. And yet those who still work within it, and indeed anyone who has ever been smitten by the power of glamour and clothes, find it hard to go cold turkey. Hamnett believes consumers have the power here. “So, how about ‘buy right’?” she says. “Buy thoughtfully. Buy consciously. First of all look at vintage, that’s the easiest, because then you can cheat. If you buy a vintage dress you’re let off the hook in some ways, because you’re not buying something that has damaged the planet just for you. “Then ask questions, ask for organic, don’t buy things like PVC. Be informed. Down comes from the fluffy bit of a duck’s or goose’s chest. Unlike a feather, a single bit of down, called a plumule, is puffy in lots of different directions, so it traps air. It is this insulating situation that keeps the bird, and your down jacket, toasty. Have you ever thought about how it’s procured? American outdoor gear brand Patagonia was surprised to discover several years ago that some of the feathers they were buying for their down jackets might have come from geese raised for foie gras production. And there is a widespread practice of live plucking. Yes, THEY PLUCK THE BIRDS WHILE THEY ARE STILL ALIVE. Patagonia can now trace all its down back to cruelty-­free farms, with birds certified non-­force fed and non-­live plucked. Rival outdoor gear brand The North Face has followed suit, and Ikea, which sells cushions and quilts as well as furniture, agrees officially that “live-­plucking is not acceptable”. But plenty of other companies sidestep traceability because it’s a painstaking, expensive process. Mostly, the down that comes from wholesalers is all jumbled up, and when that happens there’s no way of knowing which plumules come from where. Everyone thinks goose down is automatically better quality than duck. Not so. Quality (that is, insulating powers, plus how long it keeps doing its job) depends on the size and maturity of the bird; down from immature birds will be less fluffy, ergo, less warm and puffy. So goose down isn’t necessarily a luxurious treat, and it isn’t necessarily an ethical one either. Live plucking is banned in the EU and the US, but it still happens. The biggest down producers are China, where live plucking is legal, Poland and Hungary, where the loophole that “gathering” feathers during moulting season is allowed comes in useful. During live plucking, workers hold the birds upside-­down and rip the feathers out by hand; they do this to save the bird from death, thereby saving money; you can live-­pluck several times before you need to slaughter. Plucking often tears the skin, and when deep bleeding gashes form workers sew them up there and then with a needle and thread, which is probably not what you had in mind when you said hurrah for artisanal skills. Needless to say, there are no anaesthetics. In recent years, the down jacket has become a big seller, with leading brands attracting Wall Street investors. In 2014, Bloomberg was trumpeting “puffy profits” – down jackets were no-brainer hits, attractive to retailers and consumers for their timeless design and easy fits: one-­size-­fits-­many means customer returns are low. But would customers would find those down jackets quite so glamorous if they knew the full story? This is an edited extract from Wardrobe Crisis: How We Went from Sunday Best to Fast Fashion by Clare Press. Published by Nero, $29.99. This entry was posted in Brands, Manufacturing, Recycling and tagged Common Threads Initiative, Don't Buy This Jacket, Duchess of Cambridge, Fast Fashion, Get A Life, H&M, Livia Firth, Patagonia, Recycling, The First Monday in May.